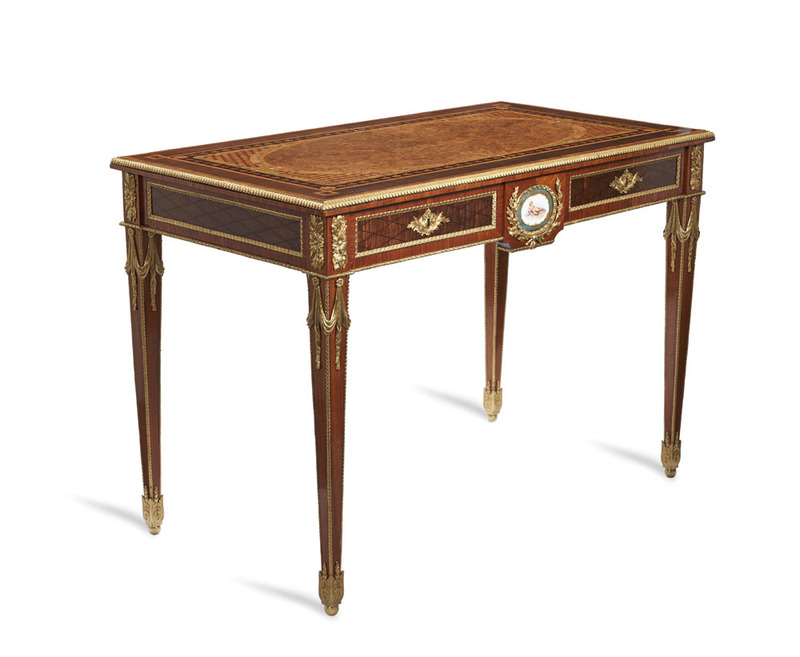 A table fit for a queen, this beautiful Holland and Sons writing table has just come out of restoration to make its debut into the 21st century. Attributed to Holland and Sons, the infamous cabinetmaker of the 19th century, he was commissioned for Windsor Castle, Balmoral, the British Museum and New Houses of Parliament. This table is up there with some of the finest. 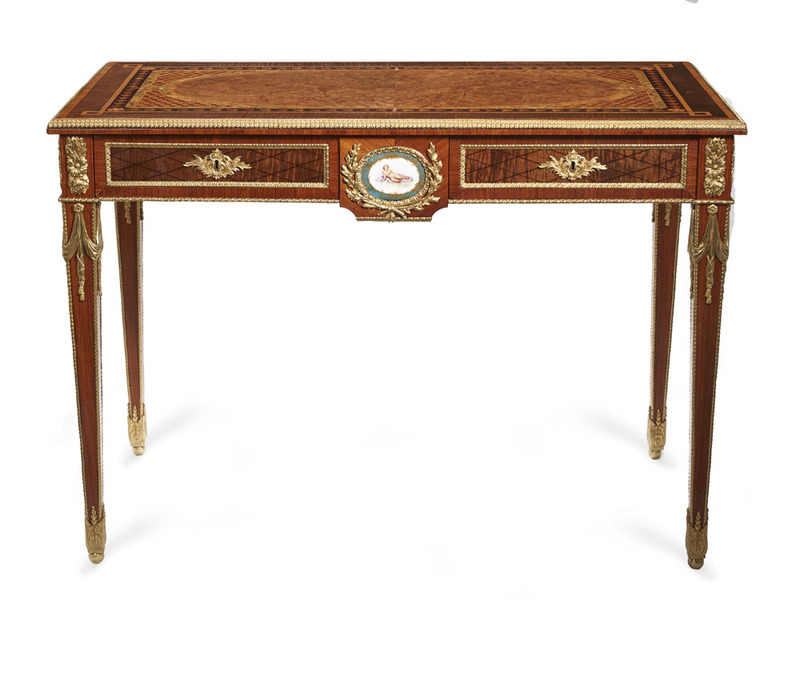 The fine amboyna top bordered by geometric parquetry, bone inlay and kingwood cross-bandings over a parquetry frieze enclosing a pair of drawers embellished with ormolu and flanking a Sevres plaque over four square tapering legs further embellished with ormolu swags and acanthus leaves. It’s fascinating to look at the difference from pre-restoration to post. With exposure to light, dirt and time the top and side surfaces of the polish had faded and lost translucency so that very little of the detail underneath the polish could be discerned. The ormolu was grey and uninspiring. 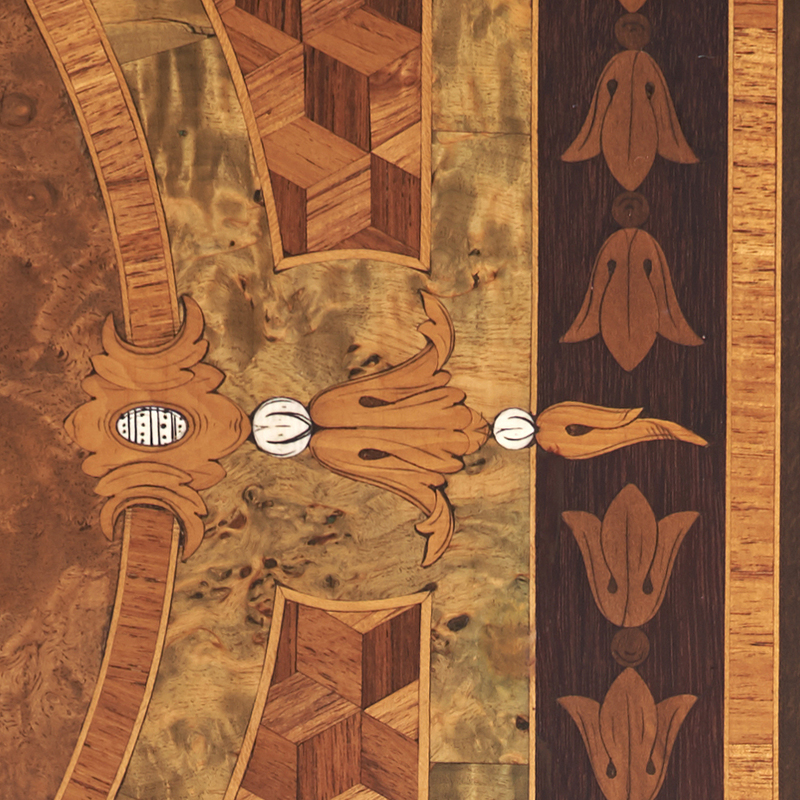 Fortunately the inlay while masked was in fabulous order with no movement at all – a testament to the quality of the piece from the outside through to the inner carcass timber. 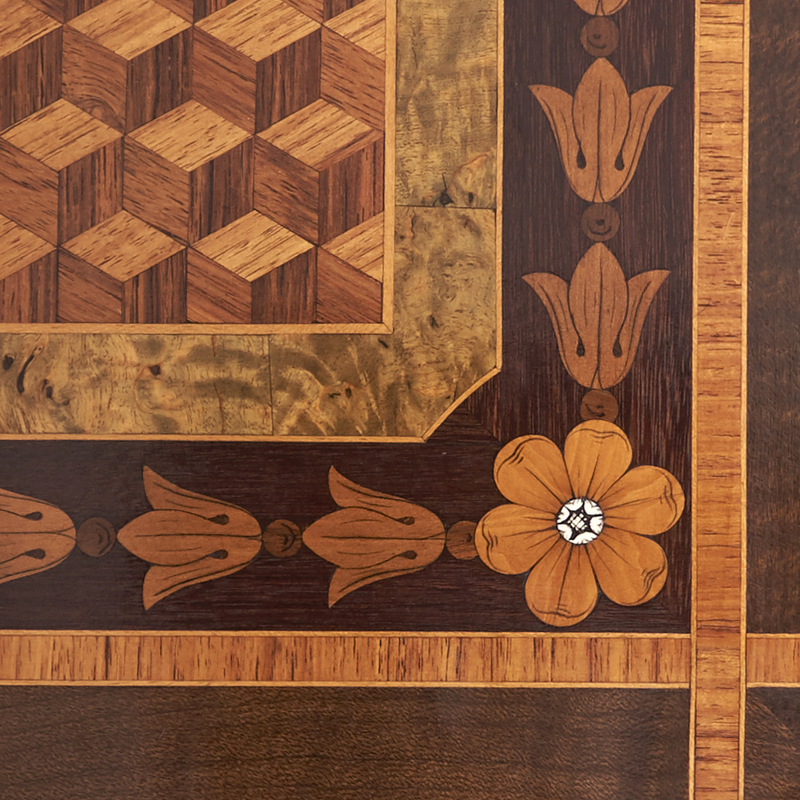 Were this inlay to have been laid onto a substandard carcass timber, this inlay would have split and separated beyond reasonable repair. 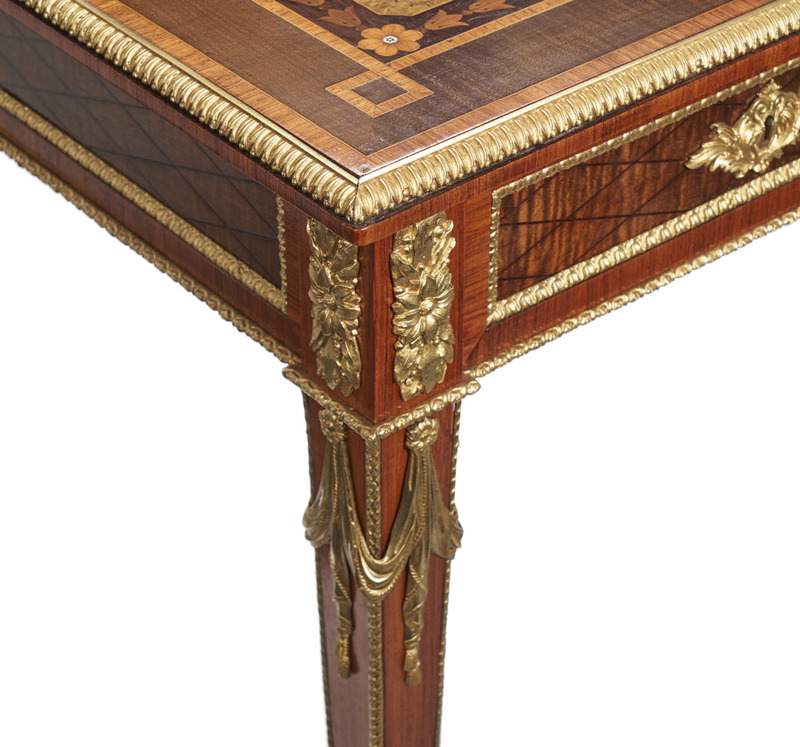 The draw-linings are not only of polished mahogany (a sure sign of quality), but the tops have been veneered with polished tulipwood. Every surface has been attended to. 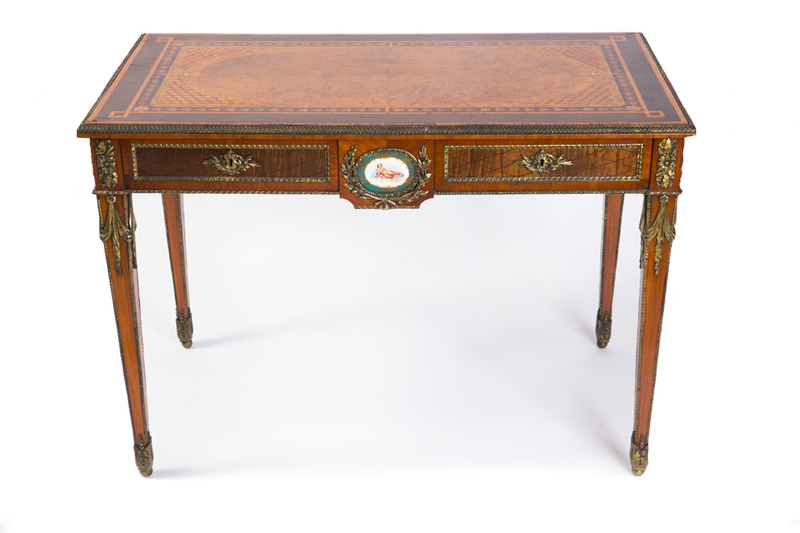 A beautiful Holland and Sons writing table, this piece would look magnificent in an office or bedroom, however it is as so many of these things are, a sculpture of fine art in itself and could as easily be placed as a sculpture in an entry or foyer. Click here to look at the before and after restoration photos.